Who Is Dr. Joel Haber? 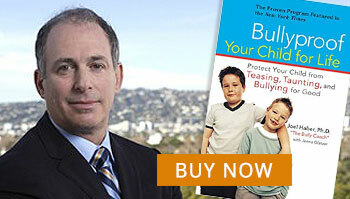 Dr. Haber has over twenty years of experience as a clinical psychologist and renowned bullying speaker and expert. His authoritative techniques to help prevent and stop bullying at its source are highly sought after in the United States and internationally. He is a prolific bullying speaker and author. He has received a grants from the U.S. Department of State to speak on bullying prevention techniques in Japan and a similar engagement with the State Department in South Korea. He is a passionate and inspiring bullying speaker and consultant. Dr. Haber gets to the heart of why people bully and what you can do about it personally and professionally. Dr. Haber offers business-oriented training programs that bring a company together to introduce bullying prevention concepts for your staff. His training methods bring these issues to light and create the opportunity for you to deal with workplace bullying that occurs in both overt and subtle ways. His goal is to create a plan that helps you get out in front of bullying prevention in your corporation. This one-day on-site training is designed for supervisors, managers, support staff, and office workers. Our team can also help you deal with workplace violence training which is different from workplace bullying but no less important. Dr. Haber also offers Individualized Consultations for Adults involved in corporate bullying situations which can be done through I-Chat, Skype, etc. Don’t let a bullying situation ruin your life or business. Contact Dr. Haber to set up a speaking engagement for your staff and organization or a private consultation to help you deal with bullying problems that are destroying your professional life! He has served as a corporate bullying consultant to major consumer retailers and international technology companies and he serves as served as a leading expert for LG Electronics’ anti-cyberbullying and mobile phone misuse program. Dr. Haber is the bullying consultant for the American Camp Association, and he has advised them on the bully prevention and safety standards for all ACA-accredited summer camps. He is bullying advisor for Cartoon Network’s STOP BULLYING: SPEAK UP campaign. Dr. Haber was credited in the 2011 film BULLY and served on the advisory board of The BULLY Project, a social action campaign inspired by the film. Dr. Haber is the official bullying consultant for the American Camp Association, and he wrote the bully prevention and safety standards for all ACA-accredited summer camps. He is bullying advisor for the online anti-bullying game Herotopia and for Cartoon Network’s STOP BULLYING: SPEAK UP campaign. 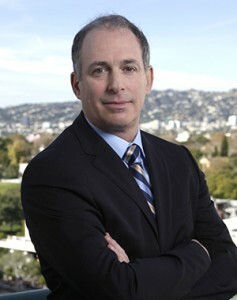 Dr. Haber was credited in the 2011 film BULLY and serves on the advisory board of The BULLY Project, a social action campaign inspired by the film.